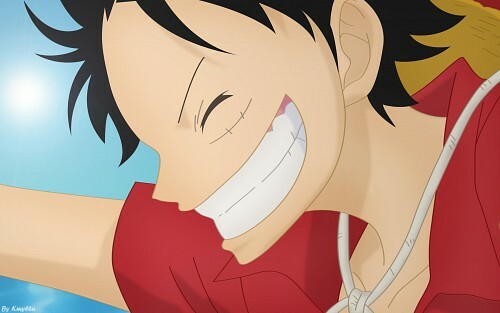 I love Luffy's smile. It seems like it would lighten up the whole world with it. =) And for sure, this wallpaper will lighten up everyone's day when they turn on their computers..